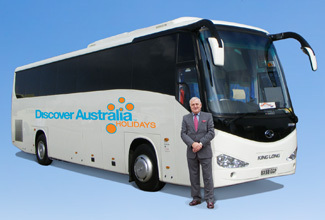 Luxury Coach Tour with Hotel Pick Up, Tea, Haigh’s Chocolates, Overnight Adelaide Accommodation. Tour to Cape Jervis with Hotel Pick Up, Cruise to Kangaroo Island, Hotel Transfer, Overnight Kangaroo Island Accommodation. You will also visit Kangaroo Island Wildlife Park which is home to over 150 species of native Australian wildlife and where you can learn about endangered species, interact with snakes and crocodiles as well as get up close and personal with koalas and hand feed kangaroos and wallabies. Today get picked up from your hotel and begin your small group gourmet tour with a scenic drive to the Dudley Peninsula while taking in breathtaking views of the Penneshaw coastline. Enjoy a wine tasting at Dudley Wines while taking in the stunning cliff top views. The Dudley portfolio consists of 15 individual wines in distinct ranges. Leave Dudley Wines and tour to Pennington Bay, a stunning beach where wild dolphins can often be spotted surfing and frolicking in the water! Visit a short visit to Emu Ridge Distillery where you can take part in tastings of Kangaroo Island Ciders and is the cellar door for Rookery Wines. Continue to Two Wheeler Creek Wines and either Hannaford & Sachs or Marron Café where you will enjoy a gourmet lunch and take a shed tour to sample some wines. You will also see live marron in their freshwater tanks. You can enjoy wine tastings, fresh marron and Bush Tucker sauces. Tour to Island Pure Sheep Dairy and watch the milking of sheep and learn about how cheese and yogurt are made. Ou will also get the change to sample some of the delicious produce which is also available to buy. On your way back to Penneshaw, stop at Kangaroo Island Spirits to sample handmade gin, vodka and liqueurs in the rustic surrounds of South Australia’s only boutique distillery. Later get dropped at your Kangaroo Island hotel for the night. Small Group Gourmet Food & Wine Tour with Hotel Pick Up, Wine Tastings, Cider Tastings, Special Lunch, Cheese & Yogurt Tastings, Boutique Spirit Tastings, Overnight Kangaroo Island Accommodation. On arrival in Cape Jervis you will be transferred to Adelaide and you will be personally met at the by a DISCOVER AUSTRALIA representative and transferred to the airport to meet your flight home. Cruise Transfer, Cruise to Cape Jervis, Transfer to Adelaide Central Station, Meet and Greet Personalised Departure Transfer. 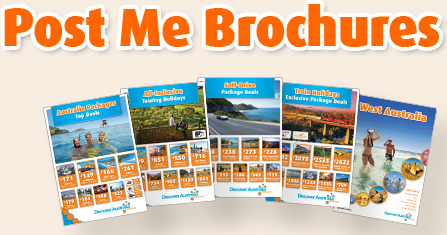 You have 3 choices of accommodation in Adelaide and on Kangaroo Island. Our "Good Standard" central Adelaide and Kangaroo Island hotels have great facilities, a comfortable room and friendly service (typically 3.5 stars). Alternatively, why not treat yourself? The "Deluxe" hotels have superior facilities, stylish room and first class service (typically 4 stars). The “Luxury” hotels are upscale with a more luxurious feel for the discerning traveller and great for celebrating an anniversary (typically 5 stars). You will be personally met by a DISCOVER AUSTRALIA representative and transferred from the airport to your Adelaide hotel and from the Adelaide Central Bus Station to the airport to meet your flight home. The Adelaide with Kangaroo Island Complete Touring is very popular. Many dates book out well in advance, please book soon.